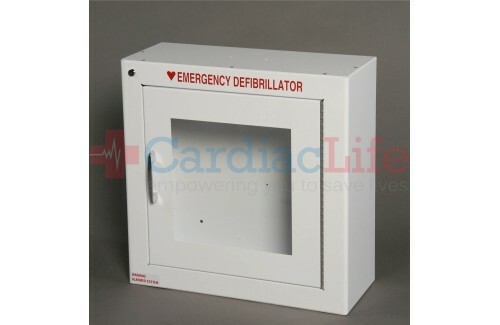 This basic surface mounted AED wall cabinet is the perfect economical choice to store your AED. 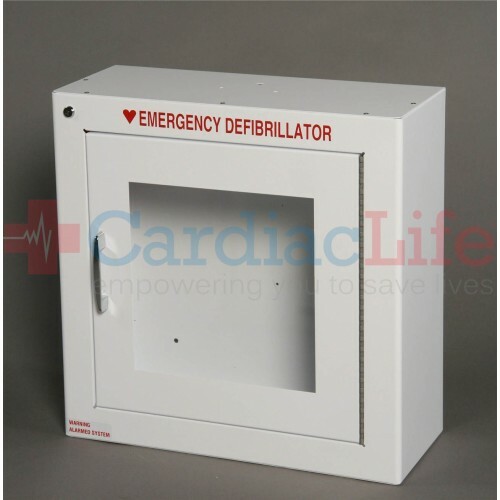 The AED sits inside a white steel cabinet with rounded edges and will fit smaller sized AEDs. Dimensions: 13" x 13.5" x 7"